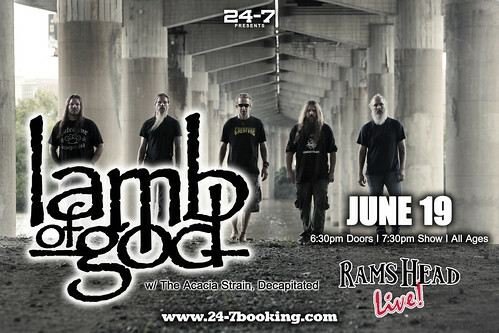 This coming Monday, July 30th, Richmond based Lamb of God will be headlining the Fillmore Silver Spring! This show has an all star line up of metal bands including Anthrax, Testament and Napalm Death. We’re so damn excited about this show that we’re giving away a free pair of tickets to this concert to one lucky reader! To enter: just leave a comment on this post telling me which of the four bands playing you are most excited to see! Then on Wednesday, July 25th at 12pm EST the contest will close and a winner will be chosen at random (using Random.org) from all valid entries. The winner will get two free tickets the show! Be sure to enter using an email address you check regularly so I can contact you if you win. Don’t worry, I won’t add you to any spam lists or sell your info or anything sleazy like that, I hate spam too. If I haven’t heard back from the winner in 24 hours another winner will be chosen at random. If you can’t wait to see if you win or the contest is already over when you read this, then you can get tickets from Live Nation for $45 here. Lamb of God is coming hot off their tour as direct support on Slayer’s farewell tour. 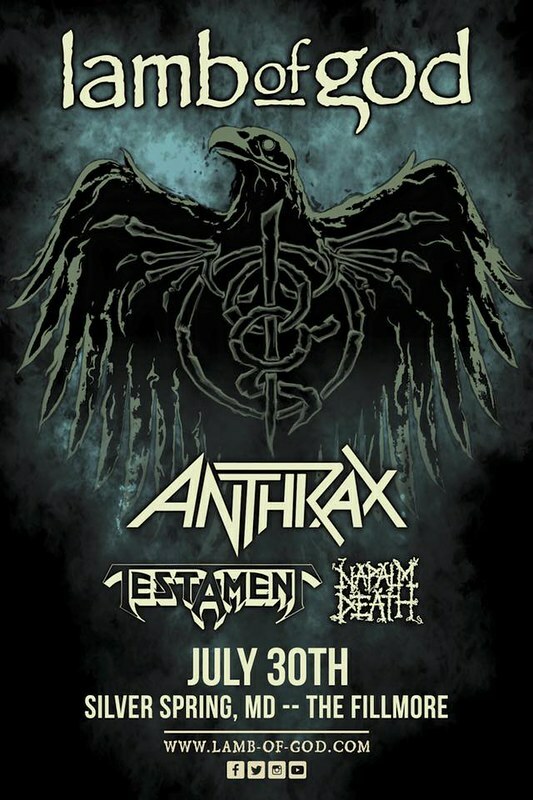 Anthrax, one of the big four of thrash metal, will be direct support for this show with Bay Area thrashers Testament performing as well. The opening band is none other than the still reigning kings of grindcore, Napalm Death. Top to bottom that’s a pretty stacked line up! Now check out these videos by the bands performing and leave a comment telling me which band you are most excited to see at this show! We’re going to try something new here on DCHM and doing a review of the new documentary about Lamb Of God called As The Palaces Burn. It will be showing at the Howard Theatre in Washington DC on March 4th and at the Ottobar in Baltimore on March 14th, but I was lucky enough to get my hands on an advance copy of it to watch ahead of time. We’ve never really reviewed a documentary or any kind of movie on DCHM before but in the last few years the documentary film world has grown bigger and bigger. There have been many documentaries made about heavy metal so maybe if you guys like this kind of thing we’ll start covering them regularly, give us feedback and let us know. Now check out the film’s trailer below and I hope you enjoy the read. 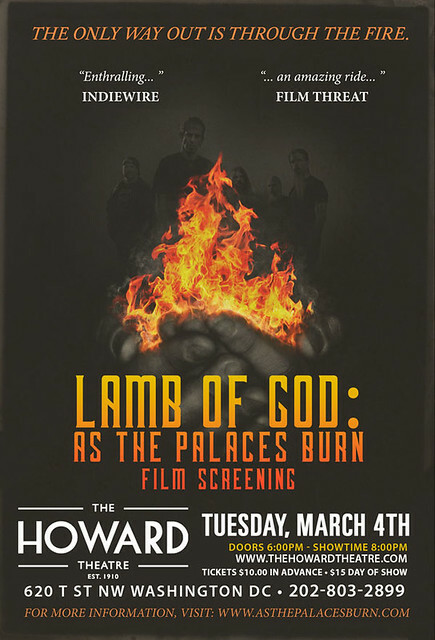 As The Palaces Burn starts off as a behind the scenes look at the guys in Richmond’s biggest metal band, Lamb Of God. You see a bit of their families and home life and the band’s lead singer, Randy Blythe, shows the camera crew a few of his favorite places in Richmond. You get to see the band preparing for their upcoming world tour as well as some old photos and other relics dug up for the cameras. You also get a good sense that while these guys are paying their bills, they’re not billionaires. One band member is shown with his Prius, not exactly the Italian sports car you’d imagine a rock star having. If you’re familiar with the legal troubles Randy went through on this tour then you’ll recognize that a lot of the quotes by the band’s members seem to ominously foreshadow the struggles they’d soon be going through. Apparently the film was originally intended to not only follow the band around on their 2012 world tour following the release of their sixth studio album, Resolution, but also to highlight some of their different fans around the world while doing so. The first leg of the tour takes Lamb Of God to South America and the film crew interviews a die hard Lamb Of God fan in Bogotá, Colombia named Oscar. He’s surprisingly fluent in English but the film seems to spend a lot of time on his back story. Next we find the band relaxing in Israel and between shots of them visiting various tourist attractions they talk about Randy’s struggles with alcohol and how, at the time of filming, he has been sober for about a year and a half. Next the film goes to India and we meet a fan named Pratika. Out of India’s more than one billion people she is one of only two females to front a metal band there, which I thought was very interesting. Unfortunately the film makers talk to her more about how being a metal head makes you different and ostracized in India, which just isn’t as compelling of a story to me. We then see the band meeting with some very excited fans in India prior to a performance before moving on to the European leg of the tour. About 30 minutes into the film that time bomb we’re all waiting to go off finally does when the band arrives in the city of Prague in the Czech Republic. The band is immediately apprehended at the airport and we find out that Randy has been arrested for manslaughter. The documentary takes a drastic turn at this point and is suddenly no longer about the fans and the tour but the legal battle that is unfolding and all the strong emotions tied to it. This is where the film really shines as the crew has excellent access to not only the band members but also the meetings with their lawyers and agents, and even in court footage that really makes you feel like you’re sitting there along with the band throughout this intense situation. If you’re unfamiliar with what happened, the band played Prague in 2010 and a fan named Daniel Nosek jumped up on stage and allegedly Randy pushed him back into the audience, though unfortunately Daniel sustained some sort of injury from this and ended up going into a coma hours after the show and died two months later. The band had no knowledge of this and their arrival in Prague was the first they had ever heard of it. The film does a very good job of explaining how the legal process works in the Czech Republic, something the American press didn’t do very well at all while this was going on. There are also lots of close ups of evidence submitted in the trial and audio, with translations, of several witnesses speaking in the courtroom. There are some really touching moments in this film about a heavy metal band, such as Randy’s return home to Richmond after spending over a month in a Czech prison, his first show back with the band, and when he looks at photos of Daniel, but I think the way he reacts to his verdict is the best part of the film. 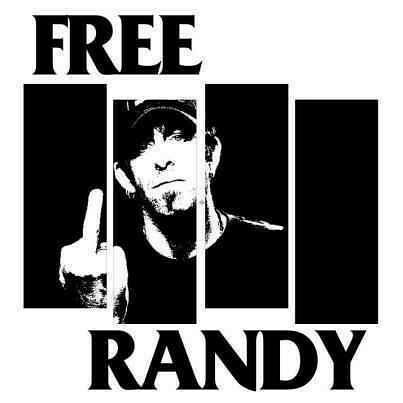 Once the arrest happens the film focuses on Randy the most, though there is a good portion where Randy isn’t present due to his incarceration and we see how it is affecting the other members of the band. There are brief on-screen appearances by several big names in heavy music, including Slash, Corey Taylor of Slipknot and Oderus Urungus of Gwar, though I think the most compelling was hearing a member of Daniel’s family speak. The band, and particularly Randy himself, make it clear thoughout that this isn’t just about their own legal struggle but the loss of a fan and how his family is left with far greater struggles than their own. This film is very unique and it goes beyond just seeing a band behind the scenes, it really documents how Lamb Of God dealt with a crisis that I’m sure would have destroyed many bands. You don’t have to be a fan of Lamb Of God, or even heavy metal, to enjoy this film either because it’s a very intimate look at how the criminal legal process works for musicians. I was reminded of other legal battles involving Judas Priest, Ozzy Osbourne, Varg Vikernes and Tim Lambesis as I watched it. The compelling story that unfolds is presented in a way that keeps your attention throughout its 90 minute run time and left me with a better understanding of what it takes to keep a band together through hard times. But wait, there’s more! If you go to one of the film’s screenings you’ll be able to watch an exclusive (as in, will not be on the DVD version) 30 minute Q&A with the band and the film’s director, recorded on what appears to be a tour bus. This is footage that Lamb Of God fans do not want to miss as they discuss things like why Randy’s wife wasn’t in the film, if they’ll ever play in the Czech Republic again and how the events have changed the band. The bottom line: you will not look at Lamb Of God the same way after seeing As The Palaces Burn and while you’re watching it, you’ll feel like you’re a member of the band as they struggle to deal with the tragic loss of a fan’s life. As The Palaces Burn is a new documentary about Richmond metal band Lamb Of God and select cities are getting special screenings of it which, lucky for us, includes Washington DC. On Tuesday, March 4th (that’s Tuesday of next week!) the Howard Theatre will be showing the movie for DC area metal fans. This is a band documentary like no other (there’s more details on what it is about in the next paragraph) and DCHM is giving away a free pair of tickets to this screening to one of you readers of the site. To enter: just let me know what your favorite heavy metal related movie or documentary is by leaving a comment on the bottom of this post. Maybe it’s This Is Spinal Tap? Some Kind Of Monster? The Story Of Anvil? Metal: A Headbanger’s Journey? At 5pm EST this Friday, February 28th, a winner will be chosen at random (using Random.org) from all valid entries to receive two tickets to this special screening! Be sure to use a valid email you check regularly so I can contact you if you win. Don’t worry, I won’t add you to any spam lists or sell your info or anything sleazy like that, I hate spam too. If I haven’t heard back from the winner in 24 hours another winner will be chosen at random. If you can’t wait to see if you win, or the contest is already over when you read this, then you can get tickets right now for $18.30 here. In 2012 Lamb Of God embarked on a world tour with a film crew following them along as they played in different cities around the world. 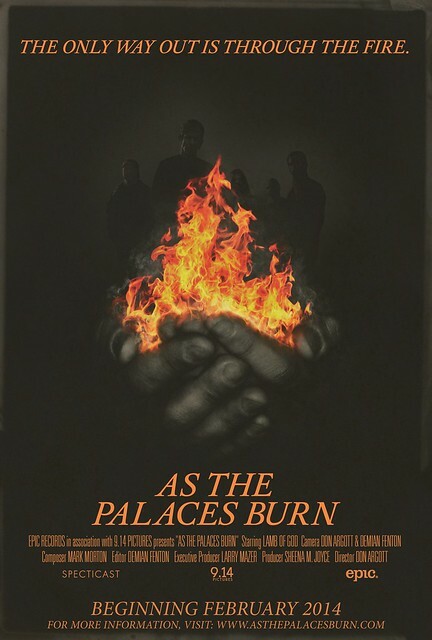 As The Palaces Burn, named after the band’s 2003 album with the same name, starts as a sort of tour diary with behind the scenes interviews with band members and interactions with fans encountered on the tour. Where this documentary takes a drastic turn was when Lamb Of God arrives in the city of Prague in the Czech Republic to play a show. Their vocalist, Randy Blythe, was arrested for manslaughter upon their arrival for an incident that allegedly took place at a Lamb Of God concert in Prague years before involving the death of a fan. The documentary follows the legal and other issues they all face as the tour is halted immediately and Randy’s freedom, and the band’s very existence, are in jeopardy. The best thing about this documentary is you don’t even have to be a fan of Lamb Of God to enjoy As The Palaces Burn as it tells an intense tale that no other movie about a band does. If you’ve never been to the Howard Theatre before you’ll find that it is just off the U Street Corridor near the 9:30 Club, DC9 and Velvet Lounge. The historic building was originally built in 1910 and eventually closed only to be reopened in 2012 after $29 million in renovations. It’s a beautiful building inside and out and should be a great place to sit back with a beer and watch As The Palaces Burn. Please note that this film screening is a seated event. Now watch the trailer for As The Palaces Burn below and tell me what your favorite metal related movie or documentary is in the comment section below! 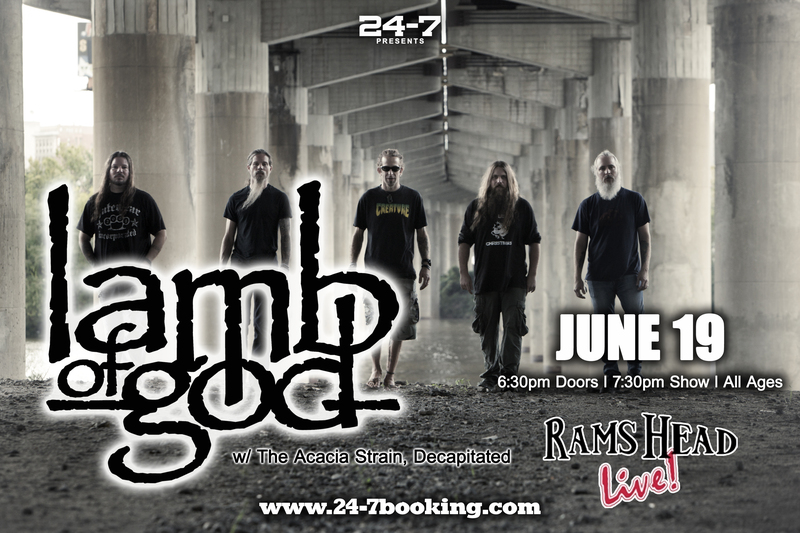 Richmond natives Lamb Of God are headlining a show at Rams Head Live in Baltimore on Wednesday, June 19th, 2013 and DCHeavyMetal.com is giving away a pair of tickets to get people excited about the show! To enter just leave a comment on this post telling me the name of your favorite Lamb Of God song. If you need help remembering their song titles, you can see their discography listed here. Make sure you enter in a valid email address you check regularly when you submit your comment so I can contact you if you win, though it doesn’t need to be in the comment itself. On Friday, June 14th at 4pm EST the contest will close and I’ll select a winner at random (using Random.org) from all the comments below to win the pair of tickets. If I don’t head back from the winner in 24 hours a new winner will be selected. If you don’t want to wait to see if you win you can get tickets right now for $29 from Ticket Fly here. Don’t be a jerk and enter multiple times or I’ll disqualify all your entries. Do be awesome and tell your friends about this contest. Lamb Of God is touring with The Acacia Strain from Massachusetts and Decapitated who are coming all the way from Poland. 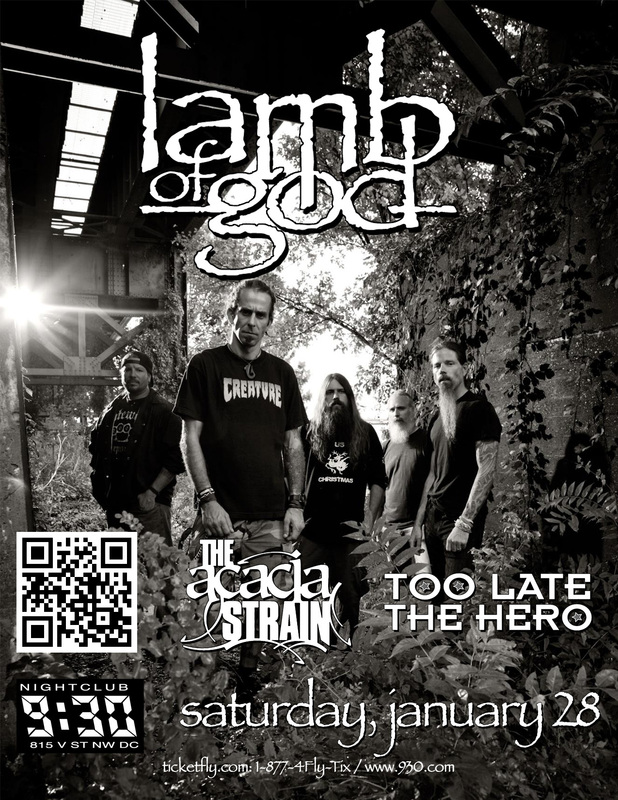 This show will be the first concert Lamb Of God plays in the area since Randy Blythe was acquitted of manslaughter charges in the Czech Republic. If you’ve never been to Rams Head Live then this will be a great chance to check out one of Baltimore’s premiere venues. It’s downtown in the Inner Harbor area and surrounded by bars and restaurants. Now check out these videos by each band playing as you decide which song you want to enter with! 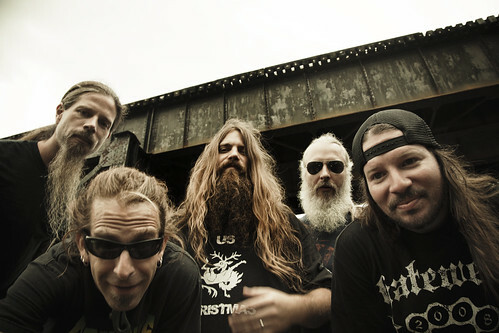 Richmond natives Lamb Of God are headlining a show at the 9:30 Club this Saturday the 28th of January 2012 and DCHeavyMetal.com is giving away a pair of tickets to one of you lucky readers of the site. All you have to do to enter is leave a comment on this post below telling me what heavy metal band you’d really like to see headline the 9:30 Club next. Make sure you enter in a valid email address you check regularly when you submit your comment so I can contact you if you win, though it doesn’t need to be in the comment itself. On Friday, January 27th at 4pm EST the contest will close and I’ll select a winner at random (using Random.org) from all the comments below to win the pair of tickets. Don’t be a jerk and enter multiple times or I’ll disqualify all your entries. Do be awesome and tell your friends about this contest. Lamb Of God is touring with The Acacia Strain, Too Late The Hero and Make Like Murder. This will be one of the first concerts of Lamb Of God’s tour to support their new album, Resolution, which is coming out January 24th! The doors open at 7pm for this show. Normally I’d post a link to where you can buy tickets but as you can see here this show has now sold out. If you slept on this one now is your last chance to get tickets. Now check out this animated video for their song, Ghost Walking, from the new album.